Oslo Sam. Org. 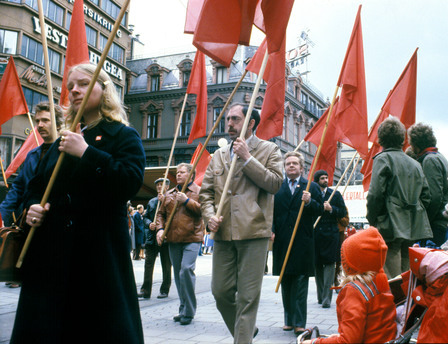 's train through Oslo city center, 1 May 1979. Red-flag demonstrators.